DIVINE LOVE LETTERS. : A LETTER FROM L.A. PLEASE KEEP CHECKING FOR UPDATES. This past weekend we had a 4-day samagam in LA. There was a flood of Sangat from all over North America. More than 300 persons came from outside. Samgam was so thundering and overflowing with love and grace of Dhan Guru Nanak. It was an out of this world glorious presentation in the samagam. Everybody went back moved, touched and thrilled with the grace of the great beloved Lord. They cried and did not want to go back. There were 20 sangat lovers came from Detroit driving 2300 miles in 36 hours. They went back flooded with Nanak love. They had wonderful experience while driving all the way. They said all the way they were experiencing the samagam's divine presence. Everybody looked so fresh and delighted when they arrived. They even said next time they will travel by road to get this bonus days of travelling. Wow the beauty and glory prevailing in the samagam is indescribable. Everyone who attended was wonderstruck with such an intense and blissful aura of divine blessing………..
All were blooming with the divine fragrance and beauty of divine love and grace. It touched and infected many brand new souls with the divine thundering thrill of the unseen wonders. 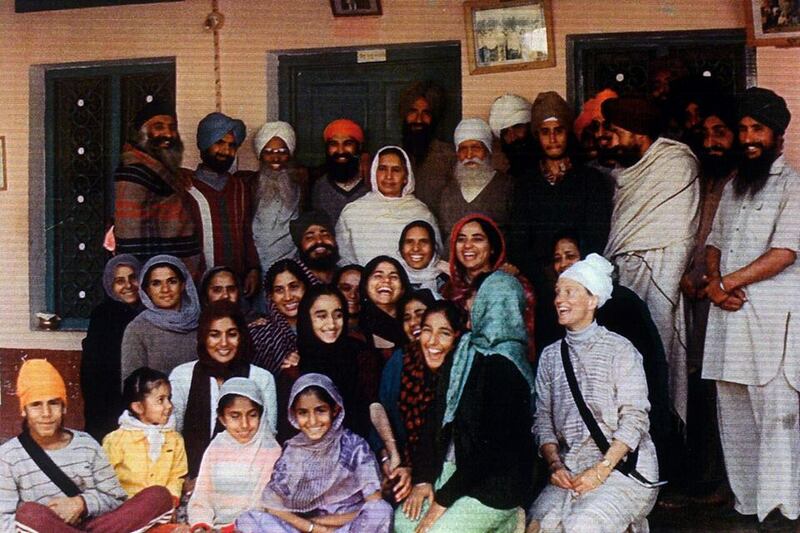 With so much of Nanak love. I missed you in the samagm . I wish you were there too in the ocean of Nanak love and grace of Dhan Guru Nanak. With the intensity of feelings you have you would have been completely lost too. Thought of you many times and prayed to the beloved Lord to send you floods of Nanak love. You have such a loving beautiful and yearning heart to enjoy the beautiful divine presence in the samagam Veerji. We love you so much. ANOTHER DIVINE LETTER FROM AN ASPIRING SOUL. A VERY INSPIRING LETTER FROM AN ASPIRANT.